So........ First things first, there was a typo in my last E-mail. I said that I was going to Alaska from June 15th to August 15th. I will actually be flying home August 1st. Thanks to everyone who brought it to my attention! 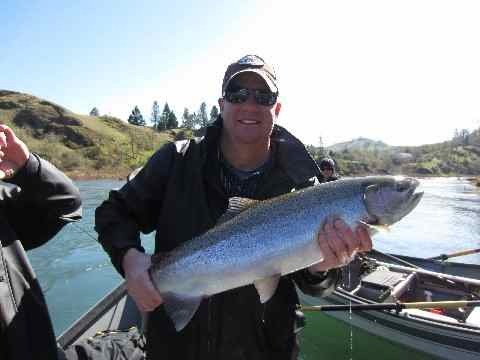 The Upper Rogue River is on for Spring Chinook Salmon! 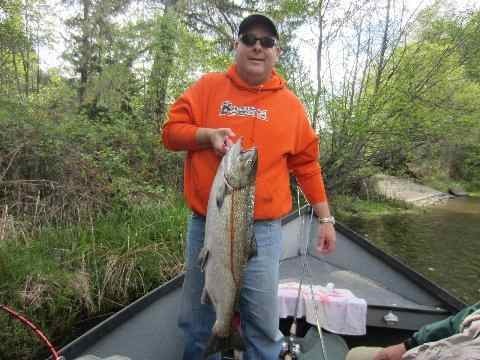 The River is running at an absolute perfect river level for fishing Spring Chinook Salmon and stands to stay good thru the summer! We have already received over a thousand fish in our hatchery and there are lots more coming! 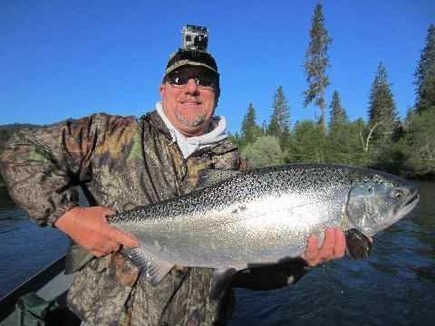 Pictured Above: Rogue River, May 8th, NICE Hatchery fish Rich! Photo #1: Rogue River, May 9th. Yeah, we had to let this one go, and the three others we got to the boat, that decided to spit the hook back into our faces. Beautiful fish though, life moves on!